Seven was under pressure last week with My Kitchen Rules hitting an all-time low of 662,000 viewers -at the same time as oxygen thief Married at First Sight hit 1.4m viewers. Roll on AFL? Nine now has 5 of 5 weeks in the bag and no sign of slowing down. 10 continues to trail the ABC, with Gogglebox as its best performer but not enough shows over 500,000 viewers. SBS documentary Australia in Colour did good business for the public broadcaster, at one point siting second in its timeslot. Nine won 25-54 and 16-39 demos. Nine led every night of the week except Thursday, claimed by Seven. ABC bettered 10 every night except Thursday. Nine led claimed victory in all cities except Perth. Nine: Married at First Sight (Wed: 1.4m), Nine News (6:30pm: 884,000), Travel Guides (786,000) and A Current Affair (782,000). Seven: Seven News (942,000), My Kitchen Rules (Mon: 761,000), Home & Away (576,000) and The Good Doctor (547,000). ABC: Death in Paradise (717,000), ABC News (688,000), Hard Quiz (635,000) and Four Corners (605,000). 10: Gogglebox (649,000), Dancing with the Stars (Elimination: 526,000), The Project (409,000) and Ambulance Australia (394,000). SBS: Australia in Colour (341,000), Secrets of the Tudors (210,000), Michael Portillo’s Abandoned Britain (207,000) and Insight (203,000). Yes lets brainstorm a few alternatives and pitch them to Ten. Love this idea! Add a simple twist of an on screen psychologist who is trying to lose weight whilst singing and the Seven bosses can take the rest of the year off for a job well done! What a great idea merging cooking, renovating and relationships, here is my idea: First date: cook a dish to share together, second date: renovate a room, third date hold a dinner party for family and exes, fourth date: revamp a garden space. 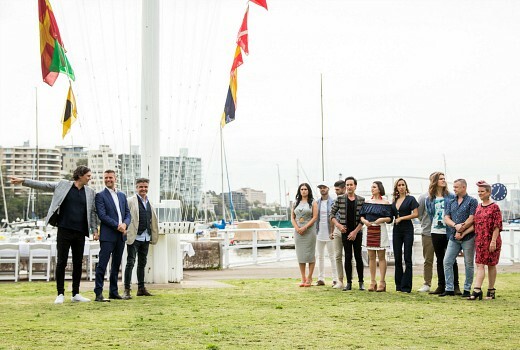 Seven could merge MKR with House Rules. My House Kitchen Rules, where cooks have to prepare dishes while the kithchen is being renovated by a different team. Might even squeeze some dating in somewhere. Let’s try something new, axe MKR. Have they got anything to replace it? They could try a cooking show……………..